Just as today’s manufacturing technologies are undergoing dramatic changes, so are today’s manufacturing buildings. Metal building systems from American Buildings Company can precisely meet all of your functional and appearance requirements at the lowest possible initial and life cycle costs. 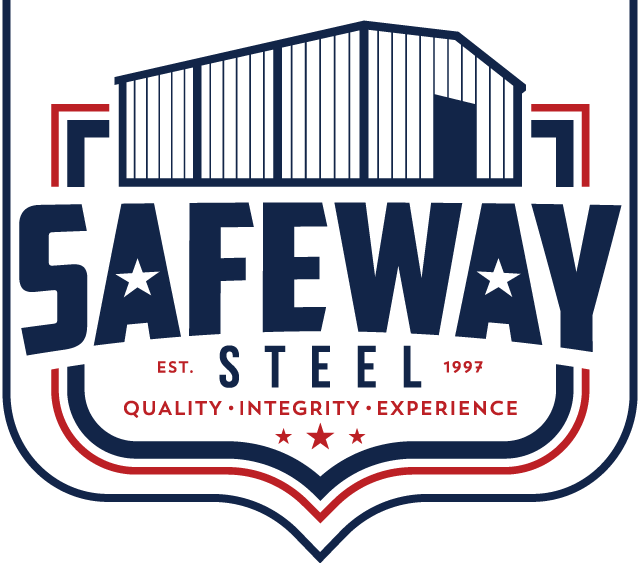 For really large or unusual structural requirements, Safeway’s unique Heavy Fabrication capability can combine the strength of conventional steel with the economy of systems construction for the perfect solution. SSB’s buildings offer maximum weathertightness and can be backed by a strong 25-year roof warranty. Buildings are available with Silicone-Polyester COOL™ finish or SafetKote® panels. Both feature durable finishes that resist fading, extend the life of the structure and lower your energy costs. SP-COOL™ panels are available in 8 colors and feature a 25-year finish warranty. SafetKote® panels are available in a wide range of colors and can be warranted for 35 years. As one of the leaders in the industry, SSB is represented by a network of Authorized Builders. They’re top-quality, highly experienced Builders who can take single source responsibility for project success.